Blueberries have several benefits to your health and in addition they are delicious. Blueberries are indigenous to North America, while its European cousin, the bilberry, is native to Eurasia. Both grow on shrubs of the genus Vaccinium. Blueberries and bilberries were only domesticated quite recently, i.e., at the turn of the last century. The US and Canada alone account for nearly 90% of world production. 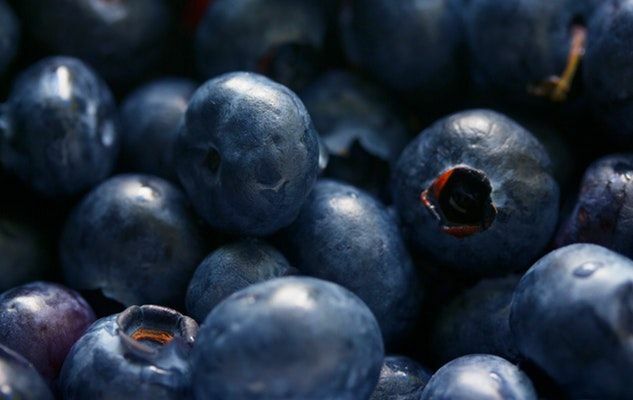 In order to take full advantage of the blueberry season, here are our 5 best recipes that feature this excellent “super food”. This recipe is very appreciated by our members. It is an ideal summer dessert with a refreshing taste. This beautifully colored fruit salad will delight your guests. Limoncello is a wonderful addition to your summer fruits. With no food additives, artificial colors nor preservatives, this dessert is a refreshing, easy and healthy alternative to store-brought popsicles. Excellent for hot summer days!